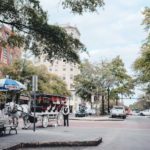 If you are looking for a great weekend getaway to break up the monotony of winter, then you will definitely want to visit us in Wilmington this February. It is a marvelous time of year to explore the cultural side of our charming city. Our downtown City Flat is located right in the center of it all! The 37th Annual NC Jazz Festival is happening February 2-4, 2017. The Wilmington Wine & Chocolate Festival takes place February 3-5, 2017. The Wilmington Symphony Orchestra performs with Linda Lavin February 11, 2017. Paula Poundstone brings her unique brand of comedy to the Wilson Center on February 10th, 2017. Riverdance-the 20th Anniversary world tour comes to Wilmington February 16, 2017. Michael Bolten will be singing live on February 26th, 2017. There are plays to see at the various stages around town including dinner theater where you can eat a delicious meal and see the show. Wilmington has plenty of art galleries to peruse. We highly recommend the Fourth Friday gallery walk that takes place every month. Enjoy your art with wine and music on a self guided tour after hours. There are wonderful restaurants serving delicious food prepared by young, creative chefs and new craft breweries popping up regularly. 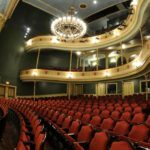 This list merely scratches the surface of refined entertainment to be had in historic downtown. Of course Valentine’s Day is right around the corner, so a romantic weekend away might be just the answer for you and your loved one! This entry was posted in Art, Fourth Friday's, Local Sights, Music Events, north carolina jazz festival, theater, theatre now, Uncategorized, Valentine's Day by admin. Bookmark the permalink.